Dancing – it’s an art, it’s a form of expression, it’s a tradition, it’s culture, or it’s just pure fun. However, like many other physical activities, it has inherent health risks that we should not ignore or simply accept. Like many other everyday risks, we can mitigate them by taking proper precautions. Dance floor – plays an important role in reducing the risk for dancers but is also the most neglected factor in decision making. When searching for a dance school the first question that comes to mind is the location and the second question is the cost. Very seldom do people ask about the dance floor. In addition, more and more people are finding creative ways to run "dance schools" or dance classes with minimal financial risk. And many facilities that have unutilized space in evenings or weekends such as daycares, after-school places, etc., are renting out their spaces for other uses such as dance & fitness classes. It makes financial sense for both, but that doesn't take into account the impact to dance students taking dance classes at those facilities. This brings us to the question, why should you take dance classes only held in a professional dance studio with high-quality floors that are specifically engineered for dancing? Parents and individuals should be aware of implications of putting their children or themselves in dance classes held at non-dance specific facilities. Learning dance requires a lot of repetitive motion, stomping, twisting, and jumping. These movements make dancers prone to repetitive stress in their joints. One of the most common injuries is Medial Collateral Ligament Tear (MCL) which is primarily caused by repetitive jumping and the impact from the floor. In the past several years. many studies have been conducted by sports medicine specialists and they have correlated dance injuries to the quality of dance floor. 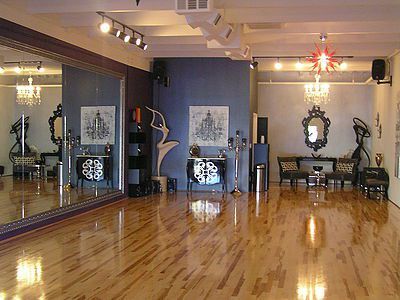 Therefore, it is important to take dance classes in a professional dance studio with SPRUNG FLOORS. So, what are Sprung Floors? - A sprung floor has layers of shock absorbers and springs beneath the surface to absorb impact from activities such as dancing, basketball, and other high impact sports activities. They enhance performance and greatly reduce injuries. Expecting anyone to dance on a hard surface without the right shock absorption and degree of traction can lead to a variety of lower limb problems such as tendonitis, shin splints, knee pain, ankle strain, etc. With those benefits there is a small price to pay, these floors are relatively expensive in the range of 5 to 7 times more expensive than most common hardwood floors. Hence, even some of those popular dance school avoid them as a means of cost savings. 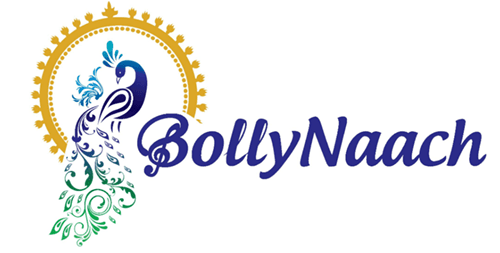 BollyNaach studios take pride in the quality of their studios. All BollyNaach studios have professional sprung wooden floors that not only provide the shock absorption but also provide the right amount of smoothness and traction ideal for dancing. This allows dancers to perform confidently and safely and to reduce physical injuries in the long-term. We believe that safety is the number one priority. There is also a common misconception that dance classes run out of someone's home or at a non-dance facility are cheaper. Based on feedback from both parents and students, classes at BollyNaach Studios cost the same or sometimes less than those that are run at homes or non-studio based schools! I have taught dance for over 20 years and admittedly at facilities that do not have sprung floors and I have first-hand experienced the difference a right dance floor can make. Bollywood and many Indian classical dance forms utilize jumpy movements and lot of stomping and the shock absorption via right dance floors is highly important for students in those forms of dance. After all, once a dancer is always a dancer. What can be worse for a dancer, who cannot enjoy dancing anymore due to joint pain? Stay Safe and Dance Away!! !